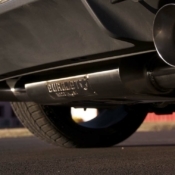 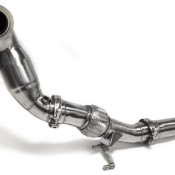 Eurojet welds this high-performance catalytic converter in place to help you stay legal on the streets. 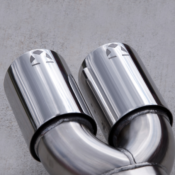 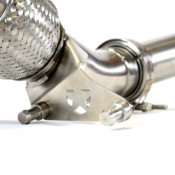 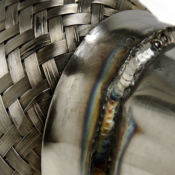 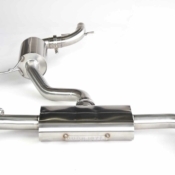 Our catalytic converter uses a stainless steel body like the rest of the exhaust to prevent rusting, as well as a free-flowing honeycomb catalyst. 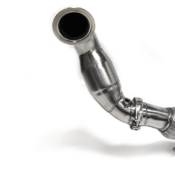 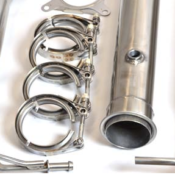 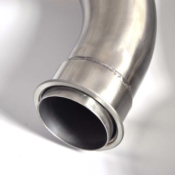 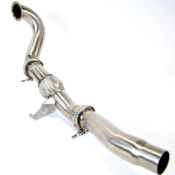 The high-flow race catalytic converter uses our v-band system for easy installation and removal. 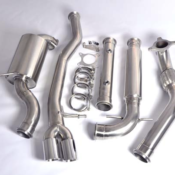 Fits MK4/5/6 Eurojet Turbo-back systems.